The net asset value (NAV) of a mutual fund is undoubtedly a key parameter of a fund’s performance. This is because when a MF scheme performs well, the performance is duly reflected in the NAV. 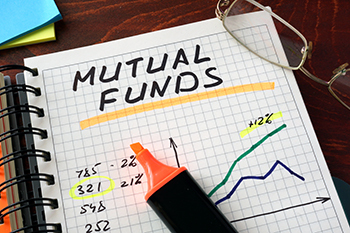 The net asset value (NAV) of a mutual fund is undoubtedly a key parameter of a fund’s performance. This is because when a MF scheme performs well, the performance is duly reflected in the NAV. So, when the mutual fund scheme makes good profit through sale of some of its assets and when the net value of the MF scheme’s holdings goes up due to increase in the market prices of stocks or bonds, the NAV goes up too. On the other hand, when the value of the securities and instruments held by MF in its portfolio of investments goes down, or when the MF incurs loss on sale of stocks or bonds due to adverse market conditions, the NAV of the scheme drops, causing losses to the investors. However, it must be remembered that NAV is current market price of all the assets owned by the mutual fund scheme in its portfolio of investments as against the outstanding units. The NAV of a scheme is not an indicator of the scheme’s worth in itself. That is, one cannot say that a fund’s NAV is in itself high or low, since other valuation matrices have to be taken into account to determine the performance and worth of the scheme. There are many qualitative, quantitative and fundamental parameters that need to be taken into account to determine the performance of the scheme. These parameters include mandate of the scheme, risk-adjusted returns, performance across market cycles, portfolio characteristics, fund management style, costs of management (expense ratio and exit load), investment processes and systems, among others. Only when the fund outperforms its peers and benchmark indices on most of these parameters can we say that the fund’s performance is excellent.